The Hay Baler – Johntheplantman's stories, musings, and gardening. First an announcement: the novel “Requiem for a Redneck” by John P. Schulz is now available as an e book at the Amazon store. Click here to go there. For today’s article I have chosen a short story that I wrote a week or two ago. 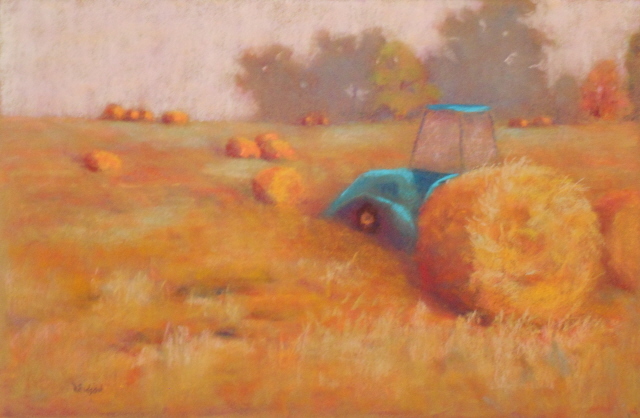 The painting, “The Hay Baler” is an original painting by my friend, Randy Eidson. 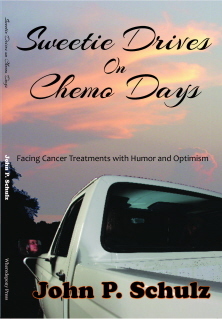 Jimbob grinned as he looked out over the field of tightly packed rolled bales. He was waiting for the semi to return for another load. What a feeling of satisfaction it was to have the crop in and sold and to just be working on the delivery. “If nothing goes wrong, I’ll be able to pick up the check tomorrow.” He said to himself. It was too bad that Dad was no longer here to see the sight. Dad had been right. The best way to make a profit farming was to get a farm near a river, put in an irrigation system, and pray for a drought. And Jimbob had been right to convert his hay fields over to alfalfa which is the preferred feed for fine race horses. He sold the entire crop at a premium price to just two of the Kentucky stables. He wished he could talk to his dad. He just wanted to grin and tell dad that he would make the final payment on the farm mortgage. He hadn’t really kept up with the numbers but he had struggled to make the five thousand dollar payments each month and now there was just one payment left. Maybe he should check the numbers. “It must have been a hell of a good season,” Mr. Vernon replied.